I’ve decided to enrol in KDP Select which gives me some promotional options including making the book available for FREE for 5 days. I’m doing it for two reasons. I’m locked into KDP select for 90 days during which period the book can only be available on Kindle. So that gives me a sort of deadline for making the book available in soft cover and putting it on other platforms. I can’t promise it, but it’s a good target for me because I’m going to be pretty busy before then anyway. Plan is to update it and make it available in hardcover next fall. Though the book has sold a few hundreds copies, it’s only gotten about a little over 30 reviews between the UK and US markets. They’re all good reviews, but I’d like to see a lot more reviews. The Free Download Offer is NOW LIVE on Amazon and runs through Sunday. I hope that most of my subscribers here who don’t have it yet will take the opportunity to download it. In exchange I have a humble request: Please review it on the Amazon page once you’ve read it. I recently produced a short promo video that performed surprisingly well in its first 5 weeks online. In fact, it’s out-performed any other video I’ve produced like it. When a video performs well or badly, YouTube analytics is a handy and comprehensive tool to determine why. 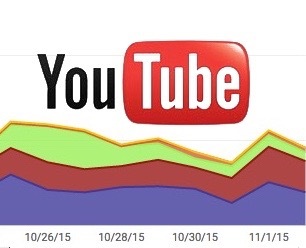 You’ll find the analytic metrics in your YouTube ‘video manager’. The metrics I tend to be interested in are, 1) traffic sources, and, 2) Audience Retention. There are a lot more metrics being tracked including views per country, viewer demographics, etc. Traffic sources tells you if the video is being viewed from the YouTube watch page (organic search), as a suggested video by Youtube (someone watched something else and Youtube suggested yours to watch next) from an embedded website, etc. Audience retention can be viewed as ‘absolute retention’ or ‘relative retention’. ‘Absolute’ tracks every minute your viewer watches your video. It shows you where they start dropping off and also tells you if they watch it more than once or watch certain parts over again (indicated when the retention percentage exceeds 100%). ‘Relative’ compares your video’s performance with other videos that YouTube deems similar to yours. Here you can see if your video is performing average, above average or below average. 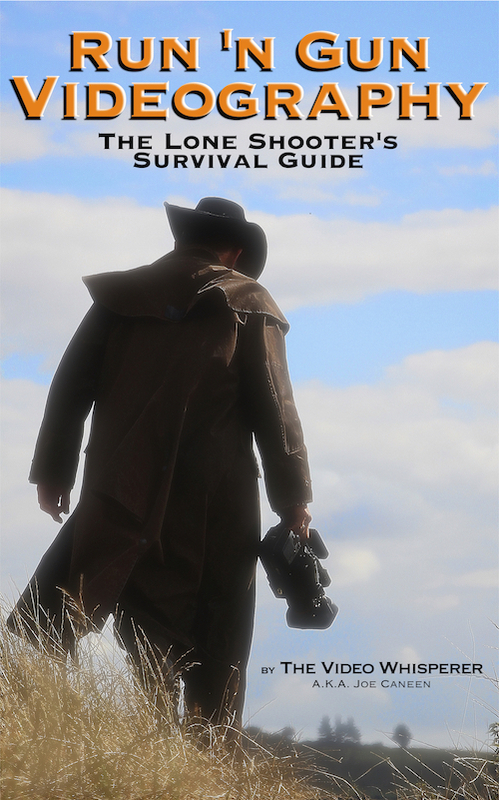 As I mentioned in the book Run ‘n Gun Videography–The Lone Shooter’s Survival Guide, it is folly to expect that 100% of people watch your video all the way through. Even popular viral videos probably don’t achieve that. For one, there are those who click on it and click right off realising it was not what they were looking for. For two, they tend to click off when they perceive it is done if they do watch it all the way through, but may not stay on for any ‘end credits’. For three, people may stop watching when you’ve ‘sold’ them on whatever it was you were trying to do (in the case of business or fund-raising videos, product videos, etc.) –and that would be the purpose of the video in the first place. This is not a metric, but it bears mentioning that you’ve all heard that videos should be ‘such and such’ a length due to the ‘short attention span’ of people. This is simply false. A video can be as long as it keeps the attention and interest of the intended audience period. Any other datum is simply the confession of video producers who produce crappy videos. As an example, my most popular videos (the NX30 and X70 reviews) were both long videos. 14 minutes I believe for one and the other was even longer. Yet between them I think they’re well over 175,000 views with tons of engagement (comments, likes, shares, emails to me, etc.) and the audience retention is about 35% which I think is quite good. Look at it this way: 60,000 people watched the entirety of both videos. But my recent promo for the Belvoir Castle shoot exceeded even that. 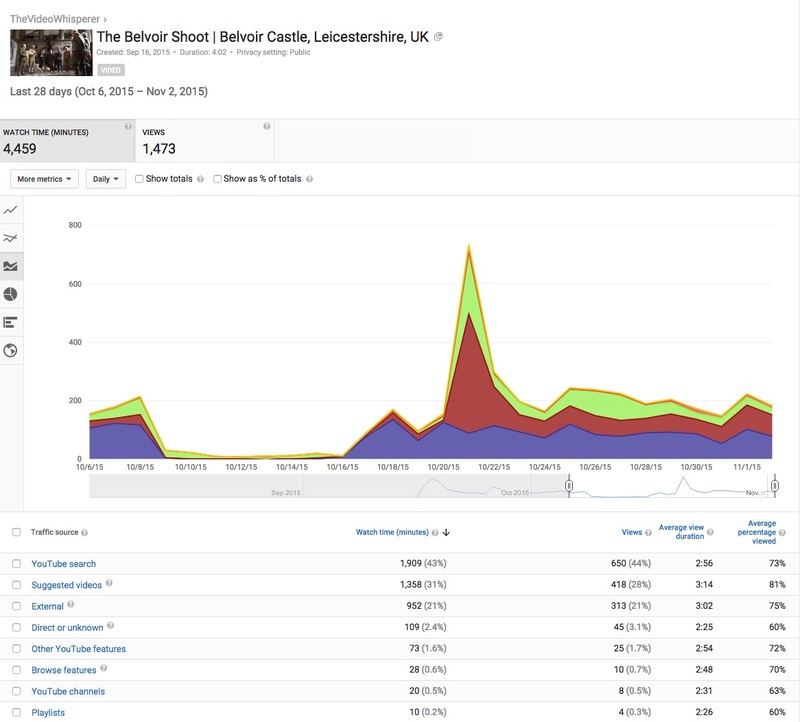 It appeared that Belvoir Castle uploaded the file I gave them directly to their servers, so that was not a source of the views counted by YouTube. The other site it was embedded on was Guns and Pegs (which was a YouTube link), but I doubted it was delivering that many views. So I had a look to see what was happening. Turns out only 21% came from embedded websites. 43% came from the YouTube Watch Page and 1/3 of all views were because of YouTube suggesting the video when someone was watching something else similar. Thus, nearly 3/4 of all views were the result of an organic search. Next I looked at audience retention. Here I found there was a very high retention rate (73%). Roughly 3/4 of all viewers watched the entire 4 minute video. Relative audience retention (how the video performs compared with similar videos), showed it to be ‘above average’ through most of the video. How did they find the video? That is attributed to the relevant title, tagging and description I gave it. (mind you, this is for a targeted public–those who are interested in paying big bucks to shoot on a country estate, and to a lesser degree, those generally interested in the subject of shooting or Belvoir Castle). Why did they watch as much of it as they did? That can only be a measure of the quality of the video to get and keep their attention. As you can see, using these analytics, one could go back and modify a video to improve it by seeing where attention drops off, evaluating what caused it and then remedying it. As for me, I usually just let it go if it seems to be doing its job. There’s a chapter in the Run ‘n Gun Videography ebook that goes into greater detail on how to optimise videos for YouTube, and even then, there’s much more to it than I covered. But I did cover the essential basics based on my own experience. Message is a big subject in that book and it might interest you to know that when I produced this particular video, the client had quite something else in mind. It took some fancy dancing to go ahead and produce it the way I did and then get them to watch it with a looming unalterable deadline facing us. After all, it was their interest I had in mind, not any desire to make myself look good. They loved it, so again, the point made in the book about the seniority of message was well proven as the video’s performance in the first 5 weeks has been very positive. You just have to understand and be able to clearly communicate the intended message and disregard ideas to the contrary. The true story of how one of my videos changed everything. Warning: This video is 35 minutes long. That said, if you are a video producer or business owner with a website, you’ll find the information here informative and useful. And you’ll probably find stuff you never even heard about. It’s free to watch. There will be no, “but wait, there’s more”, or any other of the usual clues that you’re being lead down a garden path to buy something. You can google anything I’ve said here (like “Google has been ignoring meta tag key words for years”) or any of the statistics and trends. This is the story of how one video dramatically increased my Google profile, subscribers to my blog, YouTube channel and Facebook page in the space of one year. And how all that resulted in a dramatic increase in business video commissions on my regular business website. I didn’t set out to do this deliberately. Actually it was all sort of a fluke. But since it did happen, I went back to evaluate the component parts of this success and I’m sharing it with you here. Nothing mysterious. No assistance from Adwords, or any of the dozens of schemes out there that promise you the moon with their exclusive software. In fact all I did was please the search engines. And the search engines were pleased because they saw that those searching for the topic of my video were pleased. And the more people that were pleased, the happier the search engines got. How the search engines achieved this happiness in the midst of the dull drudgery of their daily, often thankless, often disparaged work, is the subject of this talk–which could have been alternatively titled, “How to Make a Search Engine Happy”. For those businessmen and women who are going to ask, “But how is this going to help me sell widgets?”, the section after the video answers that question and covers a few points not covered in the video. But it won’t make sense if you haven’t seen the video first. As a note, I more recently did a review of the Sony PXW X70. It was uploaded 3 months after a raft of initial reviews on the camera. It started off on page 26 of Google and in less than 2 1/2 months it reached the number 1 position–despite the fact that it was considerably longer than any other review. Why? Well, the content was considered good as measured by the engagement metrics. If you were to compare it to the other top reviews on that camera, you will see that it got far more comments and likes. Furthermore, the comments were all relevant. None of them were drivel. The Sony video talked about above made it’s way quickly to the top in a very competitive market. That is, there are a lot of sites that review photographic, video, computer equipment and so forth. And generally speaking, it’s a pretty gung-ho and internet switched-on market that they are reaching. I’ve done many videos for large industrial companies, also in a niche market. They are hoping to close multi-million pound contracts with their products or services. So who looks at their videos? Two kinds of people do: 1) Businessmen looking for that specific product or service, and 2) the competition. In either case, these are not likely going to be the type of people who “share”, “like”, “comment”, etc. They might share it via email to a colleague or boss, but that’s about it in terms of engagement. Then how does engagement apply here? Creating a viral video is one way and many multi-national well-known corporations can actually create a viral video with confidence. Old Spice, BMW, Volkswagen, Volvo, Redbull and many others have done this. But these cost a fortune. A group of some very clever people come up with some very clever ideas and no expense is spared on pulling off each unique concept. If you’re reading this, I’m going to assume that kind of approach and budget is out of the question. There are more metrics at play then mentioned in the video, but one of the more important ones is called “Audience Retention”. You can actually go into the backend of your video on your YouTube analytics page and see exactly minute by minute what percentage of people watched the video. In other words, it starts off at 100%. Maybe 20 seconds in it drops to 60%. You can see the percentages for every minute of the video and the overall average. It might be disappointing to see that some people don’t watch the whole video. For example, in that Sony video, the audience retention was 30% for the whole 14 minute video. That means, as of now, about 10,000 people watched the entire video–and that’s pretty good considering its length. Interestingly, the graph pretty much drops to the 30% mark in the first minute or two and then stays consistent right to the end. That’s very unusual. But it does tell me the audience I was actually looking for locked onto it and found it interesting and informative enough to watch all the way through. There can be a number of reasons people don’t watch it all the way through. The primary one is it wasn’t what they were looking for. They realised early on it wasn’t relevant. Or perhaps they realised this was about a BMW and they were looking for a Aston Marton. And finally, here’s the real killer. If it’s a bad video (low quality production, hard to hear, amateur-looking, etc.) most people will turn it off right there–unless they perceive the content to be extremely relevant and important in which case they will grab a scotch, squint up their eyes and persevere the torture of watching the video. But that would be a rare exception. But here’s the good news. It isn’t the number of VIEWS that the search engines consider important any more. (they used to, but like in Blackhat SEO, people found ways to “game the system” and inflate their view counts.) Instead what the search engines consider important is the audience retention analytic. And that tells them what percentage of people found the content relevant. So, if you think about it, your competition is in the same boat in trying to sell their widgets. Their market is not the type of market that is going to do anything more than watch the video to see if it suits their company, their needs, etc. in order to put forward a purchase order or arrange further meetings to obtain the service or product. So if you both have videos on your respective widgets, who has the advantage? The advantage goes to the company whose video (or other web page content) appears to be most relevant to the search and that is determined by how long people watch the video or otherwise engage on your site. If, in the case of video, it sees the percentage is 5% or lower (bad video), that’s struck off the list by the search engine. Bad or amateur video not only doesn’t pay, it’s destructive because it gives a poor impression of your company no matter how good your products and services really are. Occasionally I used to check the views of my clients videos on their sites (not my Youtube channel where they are tagged and titled for my purposes more than theirs). One client had over 6000 views of three different videos featuring multi-million pound industrial installations in the first year of their upload, and one of the three videos at the time had been uploaded only a few months earlier. I’m not able to look further into their analytics for audience retention, etc., but that was an impressive view count for that particular product. Even a small percentage of those 6000 views leading to further contact would have meant a LOT of money for that business. So the moral is, in terms of video, do everything I said above anyway. And make sure it’s a good, professional video that’s pure relevant content for what it is you’re trying to sell. And that is what will rank you higher than the competition. It still stands true that video is the best engagement object out there. Used correctly, the return on investment will make it one of the most cost effective advertising methods you have ever employed. I generally don’t seek to put down competition, but this is more a matter of warning consumers and alerting video producers. A local marketing director recently invited me in to discuss a video for her business. Afterwards she sent me an email received from a Yell.com salesman trying to sell her their video production service for listing on their site. Two videos links were provided as samples along with a list of the benefits of having video content. The information was accurate and up-to-date –the very sort of things I tell business owners. Yell.com is a UK on-line business directory and is a way to find local businesses as it is organized by business category rather than alphabetically. There are similar services in most countries around the world and they are all, of course, on-line versions of phone books, yellow pages traditionally being for business listings, white pages for non-business listings. I looked at the video samples–and they are not bad, but not worth the price. Small print: “from £3750…” yet the brochure lists out added costs including “additional locations”. Both those videos had multiple locations. But more importantly, (and my internet connection is pretty good), they take a while to load before they play, which is off-putting. They say they upload them to YouTube, BUT they don’t put any info in the YouTube listing, nor any key words or key word titles. And they don’t link back to your site. They link back to Yell. And people don’t like going in circles trying to get to a site they’re looking for! Worse yet, those two videos had 2 and 22 views respectively in the last year. And the only way I found them was typing in the company name in YouTube. (If you know the company name, you just go to their site, don’t you). If you scan down the feed on their YouTube site (yell.com youtube) you will see dozens and dozens of videos that have been uploaded in the last two weeks alone. Most have had no views or one view in that time. One could say it’s too soon to tell, but couple that with the cherry-picked videos sent by the salesman to the marketing director (which got 24 views between them in one year) and I find it a bit heart-breaking. Further, their YouTube site shows 885,000 views (rounded up) in just over 8 years. That would be about 2100/weeek, 300/day. Yet the salesman told the Marketing Director they’ve done over 10,000 videos. You can do the math. For a comparison, 3 videos I did for an industrial client in a niche market (industrial conveyors) have gotten 6500 views in the last year on YouTube (http://www.youtube.com/user/CILogistics?feature=watch) without any particular marketing effort (no pay-per-click ads, etc.). And the cost of the videos to the client for each video was far less than the “starting at £3750” Yell videos. If you then google some questions like “how many people use Yell?” (400,000/day vs google’s 700,000/minute) and then look at reviews of Yell…Well, it’s not very pretty. I think it’s an old business model trying its best to survive and frankly hard-selling people on expensive video as a way of staying afloat–video that helps them more than it does their clients. Not sure when this happened, so I might be slow on the draw. I’d been hearing about the facility of uploading transcriptions for videos recently. Sounds like a lot of bother, doesn’t it? And that’s why I didn’t jump on it, so it went on the “to do” list, waiting for the day I’d have nothing better to do than sit around tediously transcribing videos. Turns out, it’s no bother at all! As serendipity would have it, I stumbled on a blog that explained the process and the benefits. Not only does a transcript allow search engines to index and rank the content of your videos, you can also publish the transcripts in various ways to various sites as articles–all of which increases the profile of your video, and/or points back to your site. When I went into my YouTube edit window and clicked on the “Captions” button (the first step), I was stunned to find that there was ALREADY an automatic caption feature in place, something not mentioned in the blog I had read. The entire video was already transcribed with voice recognition technology! Of course, it wasn’t perfect, but it was pretty darn good. So what I did was download the automatic captions with the handy “download” button, spent a few minutes correcting the errors, then uploaded the finished transcript labeling it as “English transcript”. I made sure the title of the transcript contained key words and that the first line of the YouTube video description contained the exact link to the page where the video appears on my web site. Now when that video comes up anywhere there is an icon that indicates the availability of a transcript. When you click on the icon, amazingly, the transcribe moves along phrase by phrase in synchronization with the video as it plays. Furthermore, you can use the transcript to go back to an exact point in the video that you might want to watch again. I find this positively AMAZING. Now, on my own site, the Home Page and the main service pages all contain videos I made specifically to introduce the site and those services, all of which are transcribed and indexable by Google. It also answers the question I posed some time back in an article: “How in the world is Google going to index video content?” -since all indications have been that video content is the future of the internet, and we know Google didn’t buy YouTube for its funny cat videos. UPDATE: Jeez! Don’t know why they don’t announce these things, but they just made it easier. Now you can transcribe your video with YouTube’s help. They’ve set it up so you can simply play the video and re-loop the last 10 seconds anytime you want to. Very handy. Belvoir Lettings commissioned the Video Whisperer earlier this year to cover their annual awards ceremony and to produce a short testimonial video of some of their franchise holders. Then they got the “video bug”. With various members of the Central Office staff having blogs and/or being part of on-line networking groups, not to mention all of the franchise holders themselves, it became evident that the most efficient way of getting the word out to prospective franchise holders in the booming lettings market was to share videos–not just testimonials, but some real meat on the bone in terms of the whys, “where-fors”, and “how-tos” of the lettings franchise business. It also became evident to them that multiple videos could be produced from a single production shoot, making it very cost effective. In this case, 3 different shoots provided them with 23 different videos. Smartly, rather than dump them all out there at once, they have planned to strategically release them one-by-one through blogs and networking groups. Of course this also populates their YouTube channel and increases by manifold the potential number of relevant searches that may wind up on their channel or their site. Well, it’s been a couple of years and it seems he wasn’t far off. Now we’re hearing that in short order (I’ll skip the year prediction), 90% of the web will be video-based. Just search “video seo” and you’ll see what I mean. Frankly, I don’t know what that means exactly. But it certainly implies the necessity for video content for starters. Around the same time, all on my own, I started telling clients that the slick, expensive video ads they’re so accustomed to from TV are not the way to promote new business. In fact, the cost of such productions is what made the whole idea of video prohibitive to small and medium-sized businesses. My point, covered in more detail on other articles in this blog, was that it works fine for the Big Guys because we’re already familiar with their products and services and don’t really need to be sold on them particularly. Those flashy videos are just there to remind us that those Big Guys still exist and are still offering great stuff for you to buy. But for the smaller guys, the guys that most of us never heard of (and the guys that want to be discovered), that same approach could be a distinct disadvantage. Why? Because it’s just “marketing hype”. “It’s just an actor reading a script”. So my approach was more of a documentary approach using the real people who are themselves human and slightly imperfect; not slick and polished like a pro actor with perfect hair, posture, hand gestures and clever script. Seems this too has panned out as an accurate prediction. Now I’ve been seeing blog posts about “humanizing” business videos and “the documentary approach”. The one thing I did learn from these blogs was something I must have known a couple of years ago but hadn’t put my finger on….YouTube changed everything. COME TO Run n’ Gun Video BOOT CAMP, IN Southern France! !